Today we are going to talk about the life story of Kristopher Boesen. This young man lost control of his car and woke up in a hospital paralyzed from the neck down. Just imagine that! Kristopher experienced a life-changing moment. It was when he lost control of his car on a slippy road crushing into a lamp post and a tree. The physicians warned his parents that he might never function from the neck down again. Devastating words you will have to agree. But, then something happened. 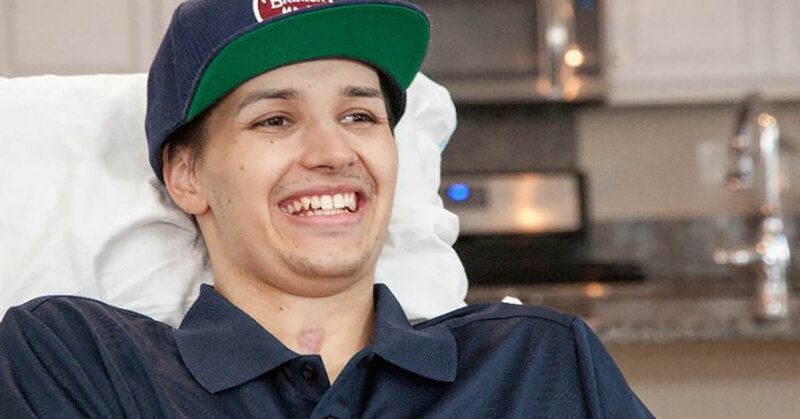 Kristopher was offered the change go through a procedure that was potentially life-changing which included stem cells. For these stem cells, it is said that they can help rebuild injured nervous tissue by taking the place of the damaged cells. You see, this experimental procedure didn’t guarantee any restoration when it comes to his paralysis, but to Kristopher, this was a risk worth taking. The process started in April. That is when Dr. Liu injected 10 million cells (AST-OPC1) directly into the cervical spinal cord of Kristopher. Dr. Liu talks and explains more about this. He says that usually, patients with spinal cord injury have surgery which stabilizes the spine however does little in order to restore the sensory or motor function. With this research, they are testing procedure which might improve a neurological function that might mean the difference between being capable of using one’s hands and arms and being permanently paralyzed. Restoring that level of function might notably improve the lives on a daily basis of patients who have serious spinal injuries. After three weeks of therapy, Kristopher began showing some signs of improvements, and within 60 days he could operate a wheelchair, answer the phone and write his name. 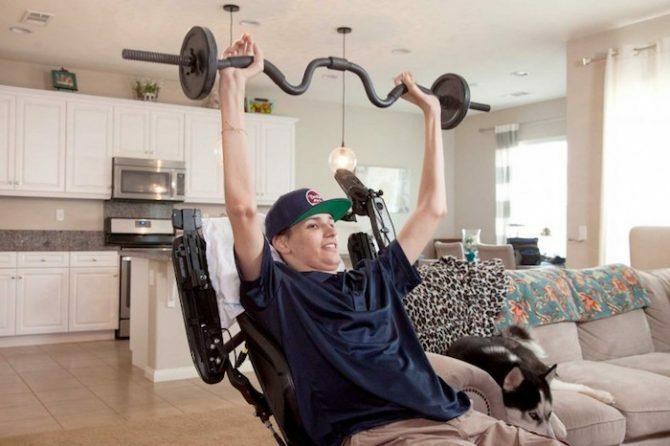 Kristopher had regained notable improvement in his motor functions that are the transmissions of messages from his brain to his muscle groups in order to move. Kristopher recovered 2 spinal cord levels that made a big difference when it comes to his movement capabilities. That was the difference between being able to function on his own and between minimal movement or no movement at all. This brave young man regained the incredibly crucial aspect of independence. Physicians aren’t able to make any promises that the condition of Kristopher will further improve. However, what they can do is continually experimenting with research on stem cells in order to try and improve the likelihood of its working entirely on paralysis. So far, the doctors have made big steps forward, and hopefully, they will continue so in their quest to solve paralysis. They will do it by working together with associate faculty located in departments across KSOM and also the University to learn more about the new medicine with stem cells. The team at USC and Dr. Liu are actually determined in order to keep researching stem cells and more. This research with stem cells is ongoing and may be used in different ways other than paralysis, from cancer, diabetes and Parkinson’s. In order to learn more about the latest news about stem cell research, you should check this website. In the future, we hope to hear more about such successful cases like Kristopher’s.